The huge, dinosaur models outside Crystal Palace are not the only monsters present around Crystal Palace. The press just cannot resist lapping up some stories and turning them into inaccurate legends. And so on 8th August 2009 the 'Palace puma' legend was born. At 4pm on the said day, a Mrs Barrett (journalist) was walking on a woodland path between Church Road and Auckland Road, Norwood. She was with her husband (journalist) and children, when suddenly, up ahead, an enormous black cat crossed the path. The cat slinked into the undergrowth and then re-appeared and began to head towards the family. Rather worried, Mrs Barrett grabbed her two-year old and they ran back toward Church Road. Unfortunately, her husband, due to not having the best eye-sight, didn't see the creature in detail but Mrs Barrett was 100% sure of what she'd seen. Despite several attempts by the press and local sceptics at mocking the sighting, local newspapers reported another sighting, this time made by two 14 year olds who were walking along Thicket Road at 7am. 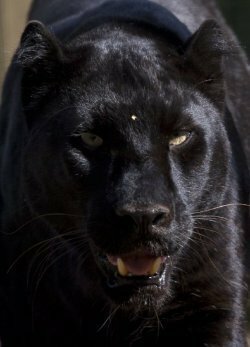 A Kaz Johnson-Salami stated the animal was the, "...size of a Great Dane... it was a huge black cat with bright eyes." The cat was only ten metres away, and the teenagers were careful to avoid provoking the animal. For now, the legend has quietened down, until the next time, when this alleged 'monster' will be given another appalling nickname all for the sake of newspaper headline. The real mystery of course is not the fact that there's a large, exotic cat on the loose, but as to whether there will come a day when local journalists finally realise that sometimes the facts are far stranger than the fiction they create.